It’s been a cold old week here in Copenhagen with a decent flurry of snow on monday and subsequent falling temperatures. Riding for the most part has been ok, with the bike lanes in most areas cleared quickly and effectively. It is really interesting though when crossing council/commune borders how different municipalities deal with bicycle infrastructure and how brilliantly or on the flip side, awfully they clear the bicycle lanes of snow and ice. Anyway, happily, still riding! Outside time counts for a lot in winter we think and goes a long way to stop the seasonal doldrums and depressive thoughts! Get the spiky ice tyres on, get a decent front light and embrace the elements! The Bullitt is actually a fantastic winter bike with it’s long wheelbase that helps stability in snow. This week we wanted to focus a bit on our relationship with Shimano. 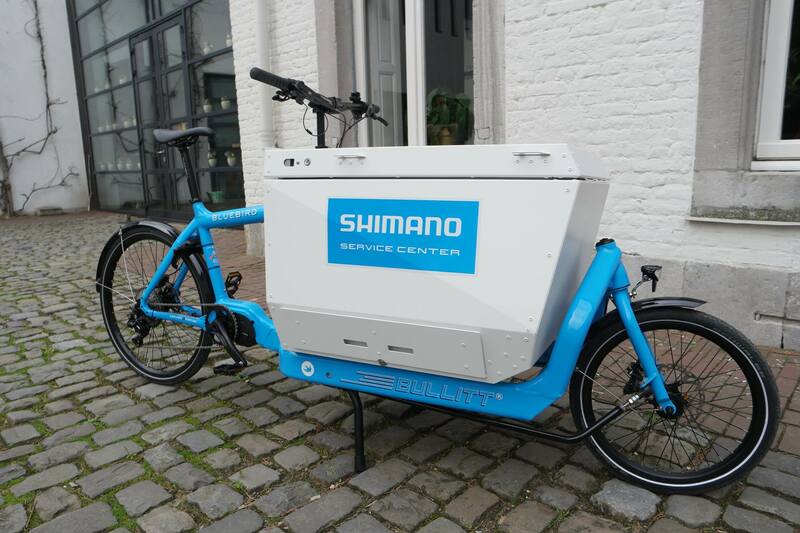 We have always specced the Bullitt with Shimano drivetrains and when they announced their Steps electric bicycle system a few years ago we were one of the first to adopt it. What is it we like about them? Why do we continue to use them with so many options now available? Hopefully this week’s newsletter will answer some of those questions. 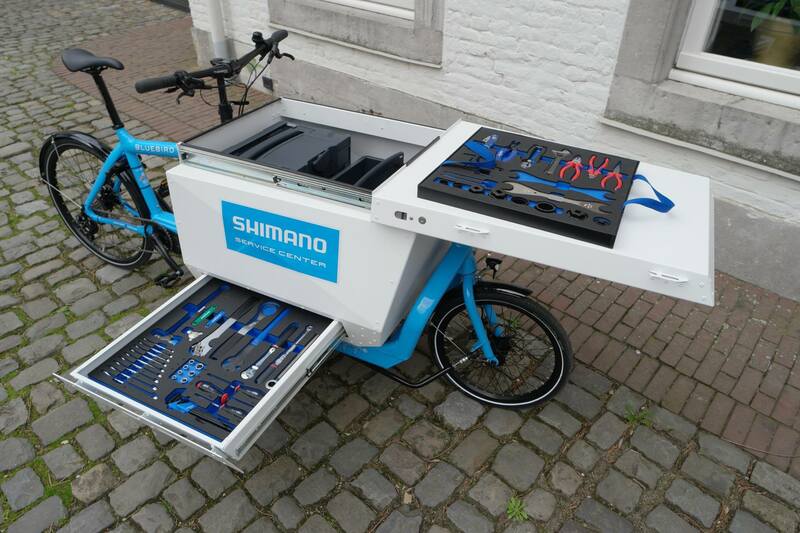 Shimano Benelux and Nordic have now rolled out their mobile Service Centre based on the Bullitt e8000. Our long running dedication to all things Shimano is based on several things. First and foremost is the breadth of their product range, no other manufacturer offers such good quality internal gear hubs AND external cassette and derailleur systems. 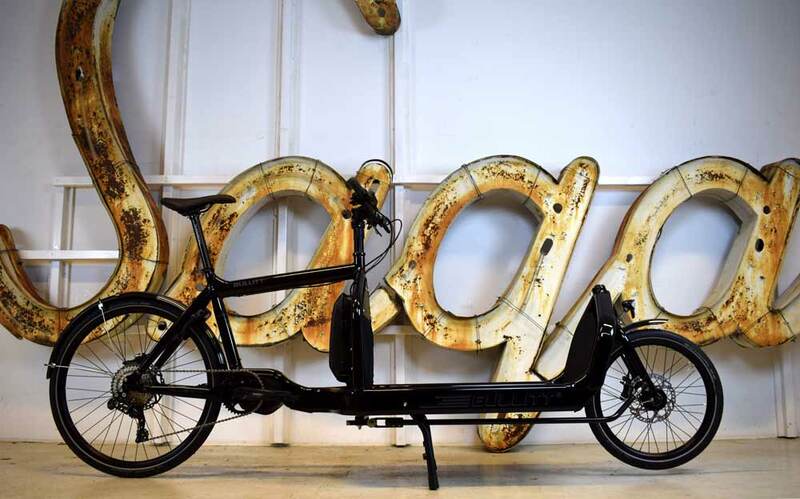 Add the Steps electric systems to this arsenal and you have pretty much covered the bases in terms of what a modern cargo bike ccompany needs to be able to offer it’s customers. Shimano quality is unrivalled and it is great that their warranty policy is so comprehensive and supportive too. The support we receive as a manufacture extends through the family to distributors and dealers and ultimately to the most important person, the end Bullitt owner and rider. On a personally level, we really like the crisp and precise gear shifting Shimano offers. It works beautifully and does so for a really long time, so absolutely no complaints about longevity or durability. This is not purely hearsay or feedback either, it is through personal experience and grinding umpteen km’s throughout the year in sunshine, rain and snow. If adjusted, serviced and treated correctly Shimano parts last longer than their competition, period. As electrically assisted bikes have become more prevalent and downright better, we decided to go with Shimano’s mid crank based Steps system. We were one of the first to adopt the E6000 series when it was introduced four years ago. 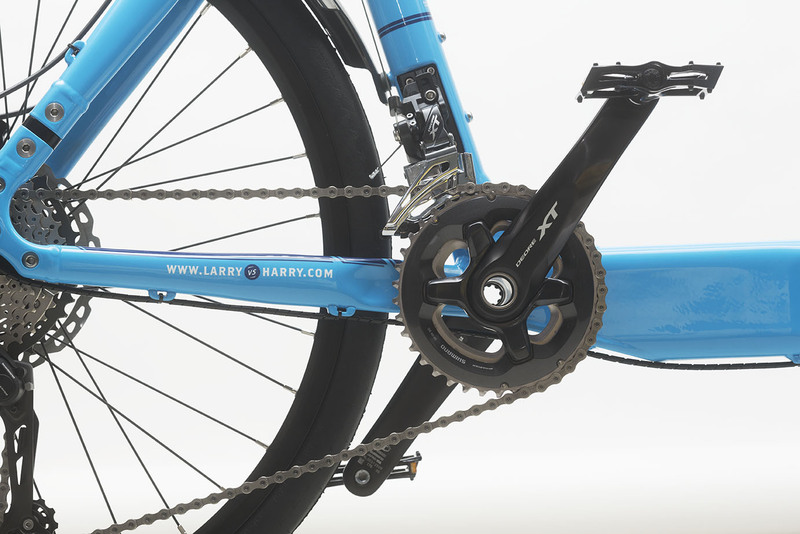 This decision was based on previous experiences with other electric systems and we felt the mid crank was the way forward for these bikes so duly adapted the original Bullitt frame to be compatible with the system. These E6000 series Bullitts have surpassed our expectations in terms of longevity and durability, with several messengers and private owners passing the 100.000km mark. The original E6000 series eBullitt. The E8000 series stealth bomber in all it’s glory. We also went all in with the E8000 series Steps system when Shimano introduced that in late 2017. 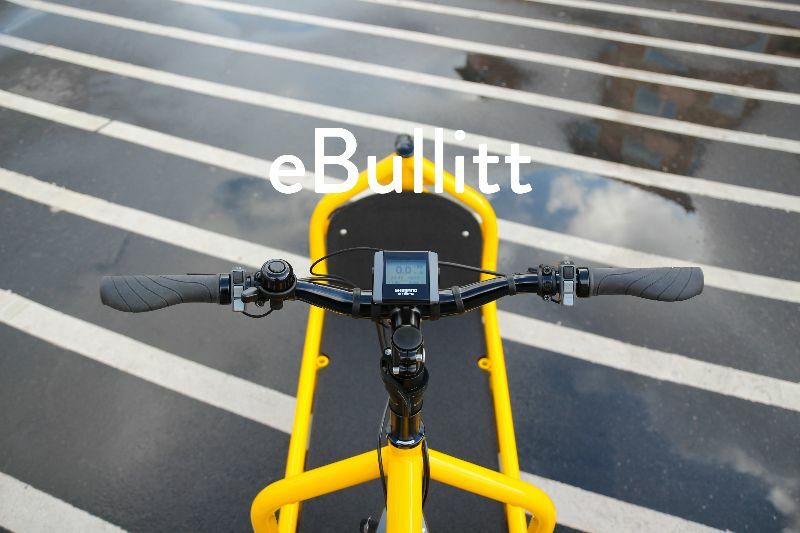 The Bullitt was the first cargo bike to adopt the system and it has been a massive hit with customers, especially those living in more geographically, errrr challenging areas. People like the extra grunt of the motor and wider gear range it seems. And now, in 2019 we will unleash the E6100 Bullitt on an unsuspecting world…..Hoooooooooo! What, what! That’s right dear reader, go talk to your dealer now and make a preorder, they will be in stock in March. Pricing will be €4399. That’s all for now, keep it cosy, stay safe, keep riding and have a wonderful weekend. 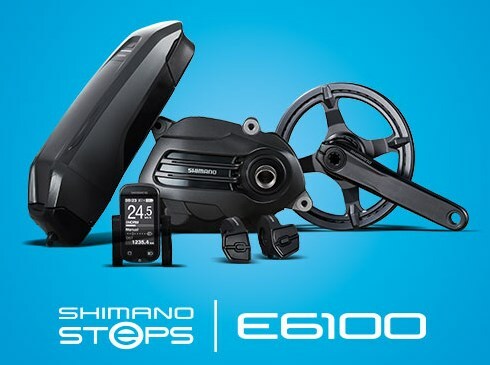 The new Shimano Steps E6100 series. Tidy! And available on the Bullitt in March.